STAR WARS EPISODE III - Revenge of the Sith ( *****) : This is a great movie !!!! Fantastic ...Awesome ..Brilliant. 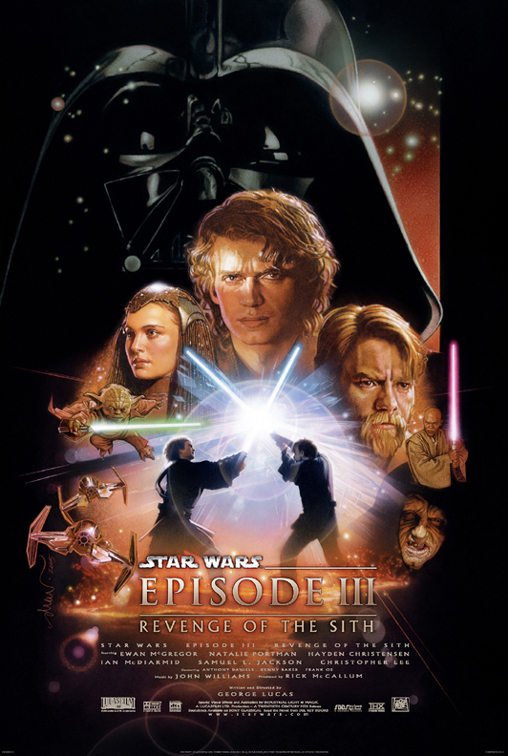 The movie more then lives upto its expectations as the grand finale for the Star Wars Saga . The movie stiches all the details in combining the 2 trilogies and does a fantastic job of it too . I saw this movie today ( the first day of its worldwide release ) and must say ...this was definately worth the wait . The only complain...( hmmm..I guess nothing is perfect) - I did'nt like the Natalie portman crying sequence in the end ..It kinda looked funny , bollywoodish ( infact a lot many portions of the movie look Bollywoodish ) . Lucan could have done a better direction of that crying sequence. The emotion from a the actors ( Natalie mainly) didn't come across . Although I must add the BEST SEQUENCE of the movie for me ( definately not the obvious for me- it was neither the Skywalker - Kanobi fight nor was it the Darth Vader birth and breath sequence . ) . THE BEST SEQUENCE for me was the Yoda - Sith Lord fight in the Gallactic Parliament . Both of them actually were throwing chairs at each other ( even though they were BIG chairs and don't fit in the category of chair chair !!) . But anyhow the sequence reminded me of what happened a couple of years ago in the our own UP Assembly in India. MLAs throwing chairs at each other !!!!! Democracy !!! Lucas is definately inspired from India in this movie - BELIEVE IT OR NOT ??? ?